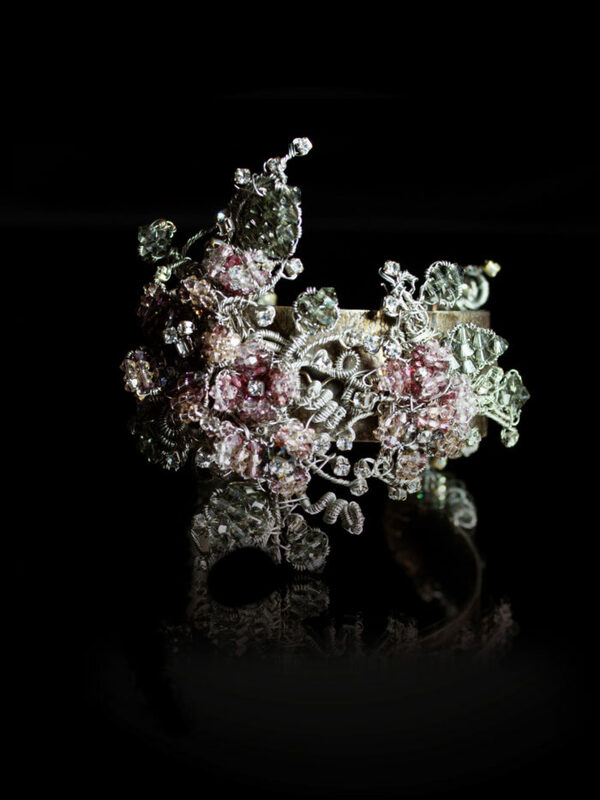 Rose & Black diamond couture cuff w/ Swarovski Crystal florals and vintage rhinestones. 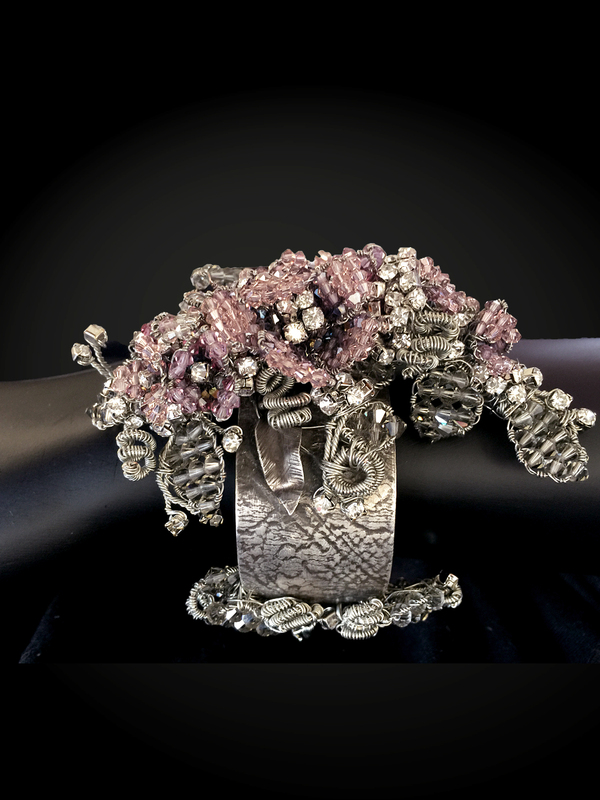 Sterling silver base handcrafted in-house hand-imprinted with vintage lace Limited edition. Only 5 available.